Looking for online jobs for students? This article has what you need, ranging from jobs that bring in a little income on the side, to larger endeavours that can form the basis of a future career. Traditionally, people assume that time spent studying tends to means time spent broke. However, with widespread internet availability and a wealth of jobs you can do online, that really doesn’t have to be the case these days. Surveys – pocket money that adds up! Life as a student can be financially tough, especially nowadays. A decade or two ago many people could access grants and all sorts of other funding. Now, studying is a lifetime investment that leaves many in serious debt. – The average debt for a student coming out of college in the US is $30,000. – UK students leave university with an average debt of £44,000 ($56,000). Thankfully, while costs have risen, so have the number of online jobs for students – and we don’t just mean dull online data entry jobs (although these are an option!). There are endless opportunities that can also boost your resumé ready for professional life. If you like the idea of being the kind of student who can “have it all,” read on! Online microjobs won’t make you rich, but they will bring in a steady stream of extra money for beers and treats. Work can come in fits and starts, but you don’t need to make any commitments – you just do what you have time to do. It’s increasingly possible for you to do some micro jobs from a mobile device such as your iPhone. Clickworker is one platform that’s recently added an app. Even if the tasks sometimes only pay pennies, burning through them during idle moments is a better use of time than playing Candy Crush. Although this isn’t the most lucrative idea here, it’s one of the best online jobs for college students with no experience of anything else. Check out ClickWorker, Appen and Amazon Mechanical Turk for starters. We have an in-depth review of ClickWorker here, and one of Mechanical Turk here. Sign up with one or more platforms (sometimes you may need to wait for your application to be accepted). Complete any necessary training or assessments, start claiming micro jobs and start earning. Individual micro tasks usually pay “micro money,” but it all adds up. It’s common for people to achieve something in the region of $12 or more per hour once they get into the flow of a certain task. Sign up to multiple microworking platforms so that when one runs dry of work you have other options. Take the time to do any new tests and assessments you’re offered, so that you’re eligible for better and more lucrative tasks. User testing is one of our favourite side-gigs here at HomeWorkingClub.com, and can actually prove quite lucrative. It involves trying out new websites and apps, and providing feedback to the developers (usually verbally, using your computer’s microphone). 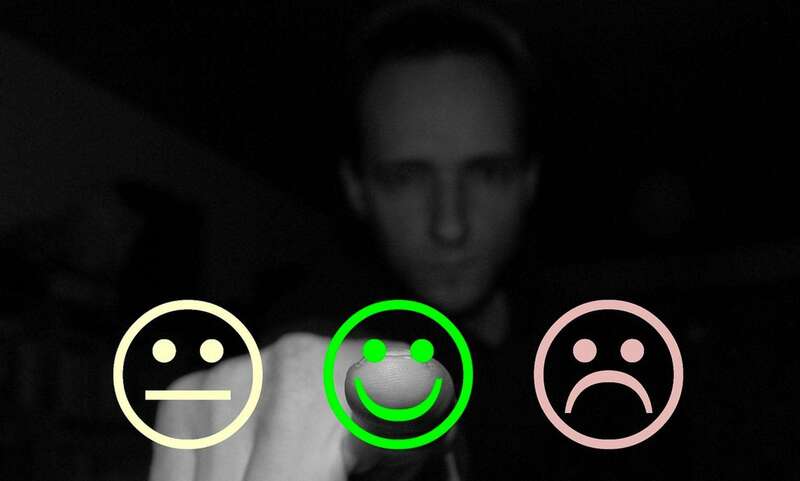 You’ll find a detailed review of one of our favourite user testing opportunities here. User testing doesn’t require any particular computer skills (although specialist skills and knowledge can give you more opportunities and therefore more income). If you can browse a website and talk about what you think about it, then you’re adequately qualified! User testing is also rather engaging if you’re in any way interested in design, web development or marketing, as you get a glimpse at what big name firms are working on. UserTesting is our current favourite platform for this kind of work – the work is steady and the payouts are super-reliable. TestingTime is another one worth looking at, as is UserCrowd (formerly UsabilityHub). Sign up with your chosen platform(s). You’ll usually need to complete an example test, which will be assessed. Once this is passed, you’re “in the system” and able to accept new testing tasks as they become available. Although there are no guarantees, in our experience we can usually pick up 3-5 tests per week by keeping the dashboard running at all times while we’re online. With UserTesting paying out $10 per test, this can add up to around $200 per month – not too shabby for a bit of extra student income. And if you have the time and inclination to sign up to every possible provider, you could build more on this. New user tests tend to get snapped up quickly, so be ready to respond fast when one comes up or you’ll miss your chance. You will find more tests to do if you install testing apps on your phone and/or tablet, as well as your computer. You must carry out user tests in a quiet and undisturbed environment. You won’t get good feedback (or many tests to do) unless you’re providing quality work. 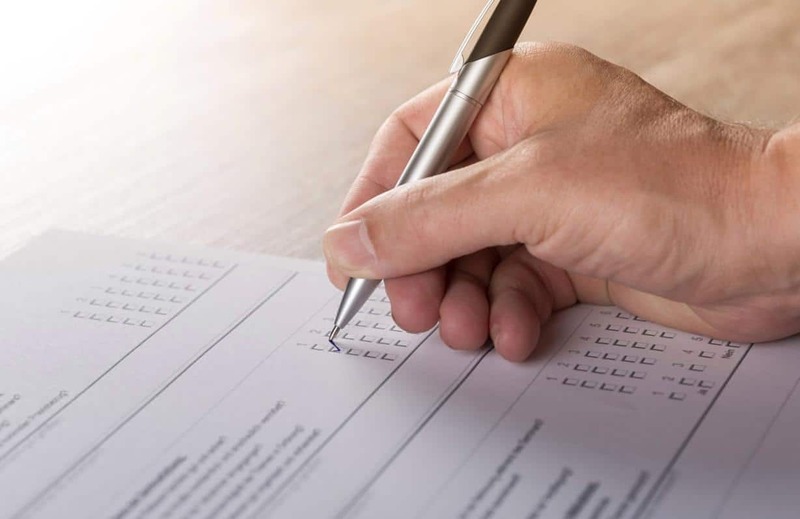 Many people are highly sceptical about making money from online surveys, and it’s fair to say that there are plenty of outright scams and pointless time drains out there. However, it’s a bad idea to overlook surveys completely if you need a little extra money. In reality, completing well chosen online surveys can make for a reasonable side income. You can often opt to receive your payouts in Amazon vouchers, which are perfect for buying books and other student essentials. Completing surveys is similar to microworking in many ways – it’s good to sign up with more than one service. It’s also very wise to keep an active eye on new incoming surveys so you can grab them before anyone else can. Completing surveys really doesn’t feel like work – it’s a pretty mindless thing you can do whilst semi-concentrating on something else. If you’re handy with your computer, you can usually blast through them a little quicker than expected too. We’ve put together a list of some of our favourite survey sites here, you can also find a constantly-growing list of options that we review in full on the site. Swagbucks is great if you want to really go for it with surveys, because there are so many different ways to earn extra money. (Read review). Qmee is worth a look because it runs as a browser plugin and there’s almost always a survey to grab. (Read review). Prolific is a real reader favourite, and the surveys there are more enjoyable than most, because they’re academic rather than consumer studies. (Read review). Getting started is extremely quick and easy, and you can often start earning the same day. You’ll generally just need to sign up and complete a demographic profile. This means that completing surveys is among the potential online jobs for college students with no experience whatsoever. College students make money online in all kinds of different ways. It’s fair to say that the ones doing surveys aren’t going to be millionaires any time soon. That said, anyone with the time to sign up to two or three survey providers and answer all of the surveys offered them should easily clear an extra $30 (£25) or more each month. Students willing to sign up with lots of providers and take this more seriously can earn considerably more. If you value your privacy, be careful what you sign up to, as surveys often require you to give away a lot of information about yourself. You’re generally well-protected with reputable companies. Try not to get upset if you are “screened out” of a survey shortly after starting. This happens frequently when you don’t meet the necessary customer profile. 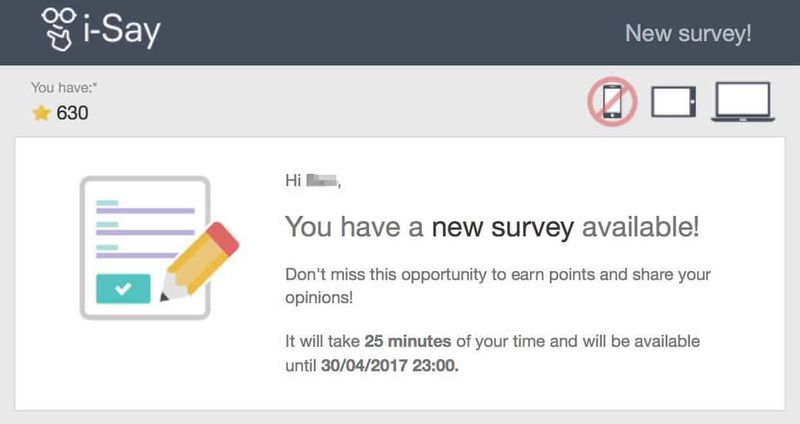 If you’re going to take surveys frequently, you’ll need to get used to it. If you decide to do a LOT of surveys, consider starting up a new email account for survey notifications so your main one doesn’t get bombarded. Make sure it’s set up on your smartphone if you don’t want to miss surveys when you’re out and about. There are plenty of other small online jobs for students that will bring in a little extra cash. It’s always worth remembering you can build and stack these, as they can end up adding up to something really substantial. Earning money from spotting job adverts while you’re out and about. Earning rewards for scanning in receipts. Building up cash by reviewing music on Slice the Pie. In the previous section, we concentrated on “side gig” type student jobs. Next, we look at jobs that can prove far more lucrative, and can even form the basis of a career. 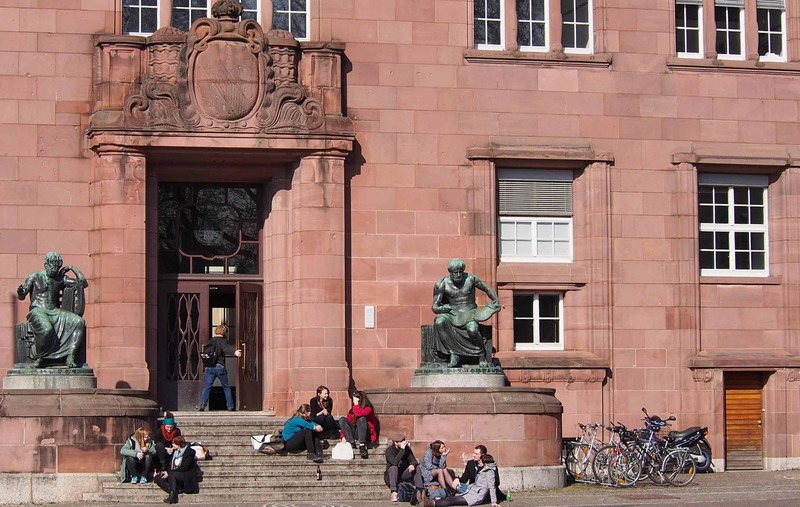 We’ve concentrated on the kind of roles that are a natural complement to academic life. If you’re studying at university, presumably you can write reasonably well. If so, you’re poised for limitless online work opportunities – especially if you’re a native English speaker. Freelance writing is the first of the online jobs for students listed here that has almost limitless earning potential. There are plenty of graduates and others doing this as a full-time career, and many of them earn six figures. But it’s also a crowded marketplace, where getting started can prove challenging. You can get involved in any kind of writing work you can imagine – from helping with academic papers to writing blog posts. It really helps if you focus your search on writing topics that genuinely interest you. You will enjoy the work more, and this will show in your output. Freelance writing also allows you to build up a portfolio of work that will help you in the job market once you’ve finished your studies. 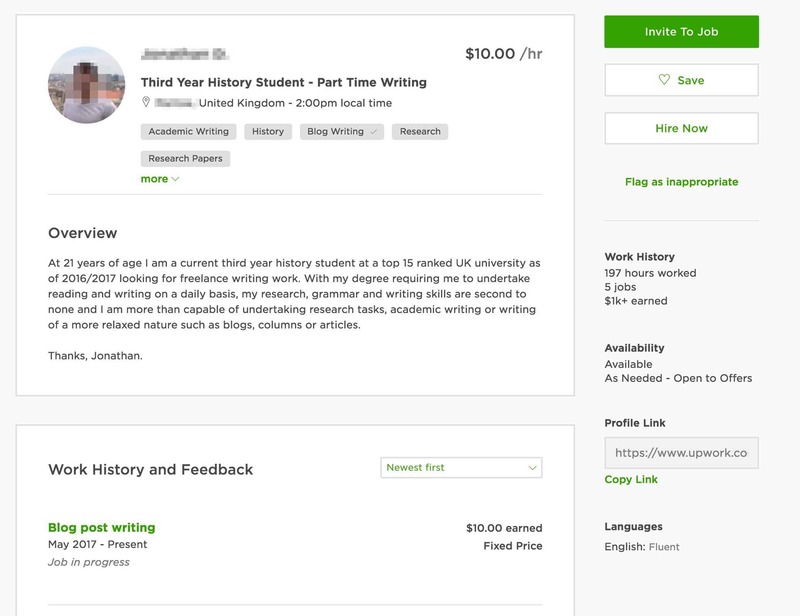 Once you have some “clips” to show off, it’s best to market yourself and apply for writing work on freelancing sites like Upwork. Take a look at the image below – it shows the profile of a UK student writing in his spare time whilst at university. He’s earned several thousand dollars doing so. 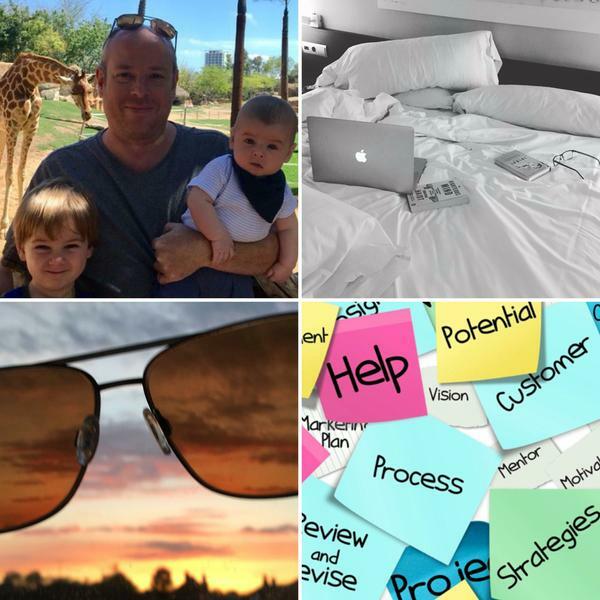 If you have any specialist interest, it’s well worth looking into starting a blog as a slow burner project as well. We have some reviews of content mills here. Once you are ready to get established, it’s worth getting set up on the likes of Upwork and PeoplePerHour. These are extremely busy freelance job boards with thousands of new opportunities posted daily. You may also want to check out this list of alternative places to find freelance content writing gigs. Another option, if you particularly enjoy academic writing, is to approach and enquire with sites like Pro-Papers, who offer services assisting other students with their work. If you’re interested in getting started as a writer, I’ve produced a free email course on the subject, which you can access via this link. The sky really is the limit. You’ll easily find real life examples of people earning $100,000 per year or more doing this. That said, that kind of money is probably unrealistic for a student who is writing part time! However, with commitment and dedication, it should prove relatively easy to earn considerably more than a student could in a traditional part-time job, all while building up a portfolio of work and not needing to leave your college accommodation! 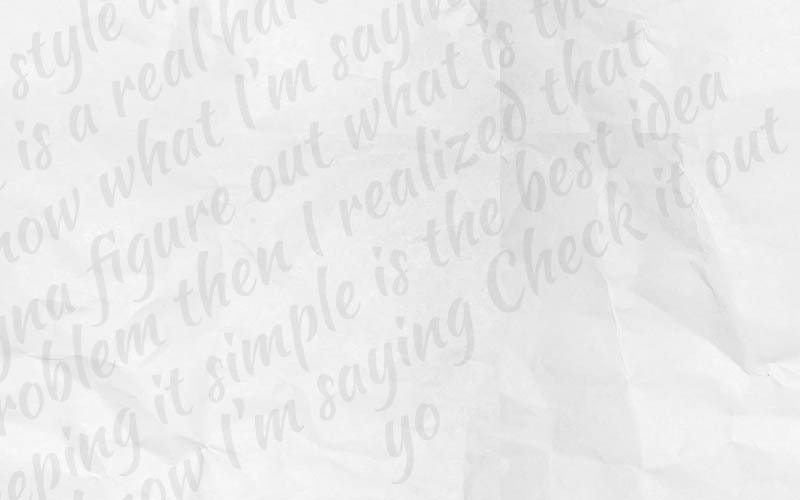 If you get the right clients and “work smart,” $50 per hour or more is far from impossible. There ARE scams lurking on these online freelancing platforms. Read this article to help avoid them. You will not find success with this kind of online freelancing unless you’re willing to properly “pay your dues.” Be ready to spend several days setting up profiles, completing tests and applying for your initial (low paid) jobs, all for no money at all. This is a long game and not a quick win. Pay no attention to people online who say it’s impossible to make decent money from content mills and job boards. Most of them have just been unwilling to put the necessary work in. Yes, there are better ways for experienced freelancers to earn money, but this is a perfectly legitimate way for college students to make money online. The Internet has become a fantastic online learning resource across the world, and you can take advantage of this by sharing your knowledge in the role of a teacher. You should be able to find opportunities that link to what you’re studying. Alternatively, there are plenty of places where you can teach English as a foreign language. The earning potential is huge, with some people who do this full time clearing several thousand dollars per month. It’s a great thing to add to your CV too. Obviously, this isn’t an online job you can do as casually as filling out surveys or carrying out microtasks. You’ll need super-reliable computer equipment, a great webcam and microphone, and a completely undisturbed environment in which to teach. However, with this earning potential, you may soon be able to upgrade your accommodation anyway! Take a look at VIPKID, Skooli, StudyGate and Vedantu. You will need to apply to your chosen platform, checking on its exact requirements. Some of these jobs are only available to those with an existing Batchelor’s degree, in which case you’ll only be eligible if you’re studying for a Master’s or Doctorate. You’ll need to interview, and if you’re working with young children you will need references, ID and criminal record checks. You’ll find a detailed article on online teaching here. This is good, steady work once you’re established, paying good, steady money. While conversational classes in English as a foreign language may pay around $10 (£8) per lesson, earnings of more like $30 plus per hour are perfectly achievable for specialist subjects. Online teaching is quite a serious undertaking – make sure you don’t commit too much to it and leave inadequate time for your studies. Research online before choosing which teaching platform to use. There are plenty of busy Reddit threads where teachers discuss earnings and experiences. Don’t undertake this work unless you have a consistently undisturbed environment to work in. Continuing the theme of turning knowledge into cash, we come to course creation – an online job for students that can turn into a lucrative business for those willing to put in the work. 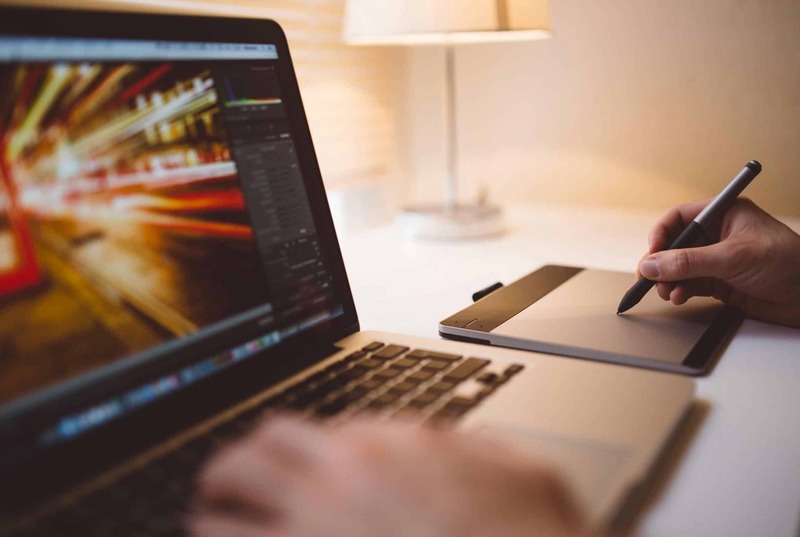 The success of the internet as a learning environment has resulted in an explosion of sites that facilitate the creation and marketing of online courses. If you have specialist knowledge to share – on any subject whatsoever – you can create courses and sell them online. People have become millionaires doing exactly this. Course creation is only really suited to you if you have certain skills and attributes. Good courses need multimedia, so you’ll need to be comfortable in front of a webcam. Strong computer skills are a must too, as you’ll need them to put the course(s) together. If you tick these boxes, and have knowledge to share with the world, all you need is the time to create the course materials (videos, slides and notes), and the time and inclination to market your courses online. Many people do this as a full-time career. Course creation isn’t for everyone. It requires commitment and an entrepreneurial mindset. But if you get successful in this marketplace, your courses can continue to earn you passive income long after you’ve finished university. Well-known and reputable course creation platforms include Udemy, Teachable and Learning Cart. A good way to become familiar with these platforms is to sign up and take one or two courses yourself. This will familiarise you with how everything works, and the kind of work that goes into courses that sell well. We’ve also explained here exactly how one of these training platforms works. A great starting point is the unofficial Udemy course creation course, which is five-star rated and will show you exactly how to make your first course. This is a student job opportunity that can earn you serious cash if you’re lucky and committed. Courses sell for anything from $10 to thousands, with the course creator taking the lion’s share. 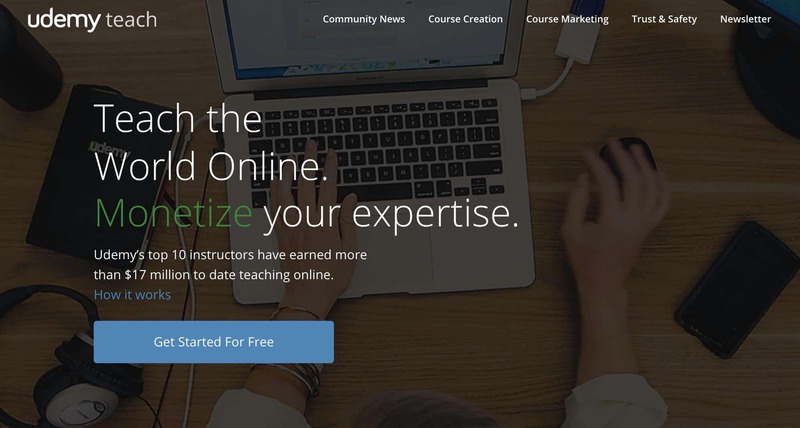 As an example, the creator of the unofficial Udemy course creation course mentioned above typically charges £10 ($12) for his courses – but he has over a quarter of a million students. That’s some serious money. Make sure you take a couple of well-rated courses yourself to see what a good course looks like. Keep in mind that marketing is key to success. If you want to make the big bucks, you’ll need to think about websites, Facebook ads, and various other things. Think about the subject areas you’re truly passionate about – creating a course on these should be a pleasure rather than a chore. The previous section had a distinct writing and learning theme, but what about if your skills are in crafts, design or photography? Create designs and sell creations via print on demand merchandise platforms such as Society 6. Make full use of your camera and sell photos on stock photo platforms. Sell your own crafts via an online Etsy store, or set up a whole online business using Shopify. If you take a look at our case studies section, you can read about the real life experiences of people running creative businesses of all sizes. We just covered selling your own creations online, but it’s also well worth being familiar with the sites where you can sell on items you no longer need. 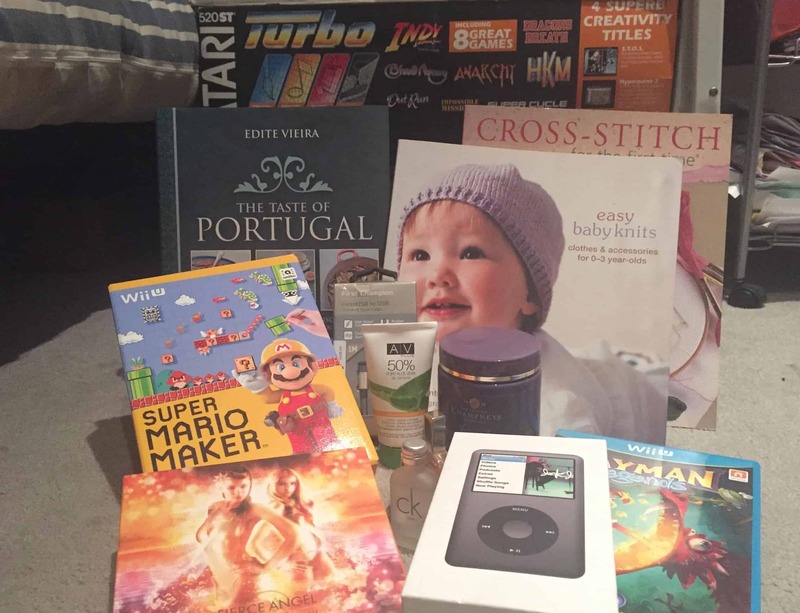 Those old textbooks, obsolete computers and completed video games all have some value in them. If you want to take things a step further you can start to hustle the yard sales and thrift stores, buying items specifically to “flip” them for profit. Believe it or not, people make serious money doing this. The student jobs we’ve discussed so far are things you would generally do on a self employed / independent contractor basis. This is often the perfect model, as it’s easier to fit things around your studying commitments if you are your own boss. That said, there are teleworking opportunities out there in fields such as call center support and customer service. Many companies are frequently on the lookout for search engine evaluators. Apple even hires “at home advisors” to provide customer support. Thanks to many companies working around the clock, there are teleworking opportunities where you can work evenings and weekends. For some ideas, have a look through the companies in this roundup, or consider a low-cost FlexJobs subscription. There are plenty more job options that go beyond those detailed above. In order to prove this point, here are a handful of other options that may appeal to you if none of the above do. Work as a freelance designer: If you have strong design skills, you can use exactly the same techniques we discuss for freelance writers above. Become a live chat operative: Online casinos and bingo sites often recruit for people to run their online chatrooms on a part-time basis. Start a student blog: If you’ve got plenty to tell the student world and enjoy writing, a successful blog can make money from ads and sponsorship. Consider social media consultancy: If you know all there is to know about Instragram, Twitter and Pinterest, companies will pay good money for that. You’ll find some leads on the freelance boards we’ve already discussed. Get a temporary job helping with the United States Census: If you’re looking for work in 2019-2020, there’s a huge operation in progress to complete the US-wide census, with thousands of available jobs. Work out how you will collect payments: Some online work will require you to have a PayPal account for payment; Other jobs may involve bank transfers. Work out how you’re going to take payments and manage the financial side of your online work. Don’t forget that you can always dip into several ideas and make your money from a combination of different jobs. If you’re going to work online, you need a computer that’s up to the task – not a virus-riddled old machine that takes ages to boot up. If you’re doing professional work for professional clients, you need to think about things like backups and information security too. You’ll find a detailed guide to computing for home workers here. Unfortunately, if you’re earning money, the government will invariably want a share of it – and this is no different if you’re a student. You may find that you don’t earn enough to pay any tax. In the UK, for example, you can earn £11,500 per year completely free of tax. However, you should make sure you’re aware of your tax situation before you start earning money. This is especially important if you get successful with your online work and the money starts piling in. The tax man won’t ignore you just because you’re studying. Thank you for reading to the end of this guide! If you’d like to suggest any other online jobs for students, or ask any questions, please feel free to use the comments section below. 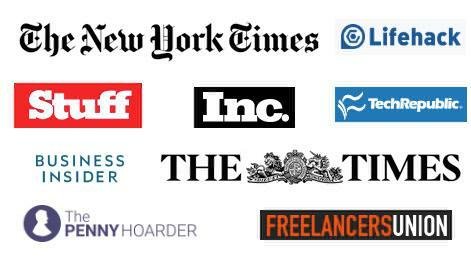 If you’d like to find some other good resources on freelance work, this new article will help. Previous ArticleTextExpander Review: Timesaver or Waste of Time?